Luxury camp safari Desert Tours Goes through rocky off-road and Sand dunes, we join the most spectacular vast desert of Morocco. You will be taken on a trek off the beaten tracks through less undiscovered places where you can experience a sense of wilderness, breathe clean air of the Sahara desert and explore the diversity of wonderfully changing landscapes with splendid undulating sand dunes that change color as the day progresses along with the guarantee of a cheerful welcome from the nomadic Berber people. This vast area of sand dunes makes for a breathtaking landscape, particularly at sunrise or sunset. In the evening we make fire and admire a purely sky full with brightly stars and night out in the open air with moments of real pleasure to discover constellations. 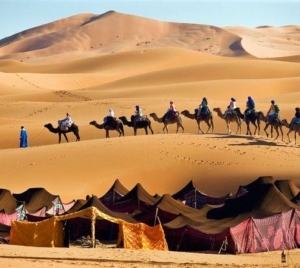 Luxury camp safari Tours Morocco a natural high tours and excursions aim to discover the majesty of the Erg Chegaga Sahara desert with its endless sand dunes and breathtaking scenery. 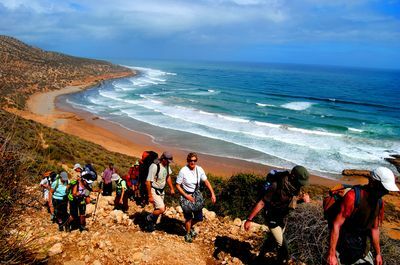 A must for everyone who is visiting Morocco, A memory to share with your family and friends back home, This is one natural high Luxury camp safari Tours Morocco you can not do back home. 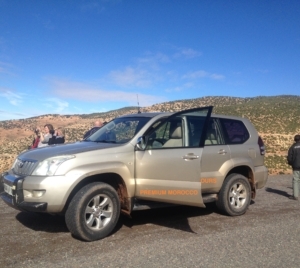 After breakfast at your hotel/Riad, meet your tour guide followed by a wonderful driving day heading for the southern Morocco crossing the High Atlas Mountains. Lunch will be in a local restaurant at Taddart village, we will drive along the ounila valley to the Kasba of Telouet and salt mines, we then continue to Ait Benhaddou kasbah, an inside visit to the kasbah is scheduled, explore this amazing 11th century kasbah, where Gladiator, Game of thrones, prices of Persisa and many movies were filmed.. we then carry on driving towards the Draa valley through Ouarzazate and the rocky desert and spectacular Mountains of Jebel Saghrou. draa valley is about 300 km long palm valley also known as Moroccan dates basket, Overnight Stay deluxe tented camping in the palmery. Activities : Visit High Atlas, Ait benhaddou Kasbah, Ouarzazate and the Draa valley. After breakfast, we leave our campsite heading for Zagora and Oulad Driss village. We spend the morning driving along the Draa valley, offering a fascinating range of contrasting colourful and daramatic landscapes, verdant palm-groves wisely cultivated and fortified mud-red villages, we will visit a 12th century Cornaic school and bookshop in the spiritual village of Tamgrout, we will also include a visit to the Ksar and pottery village. we leave for the village of Oulad Driss for lunch and to have a cup of mint tea in a Berber house. 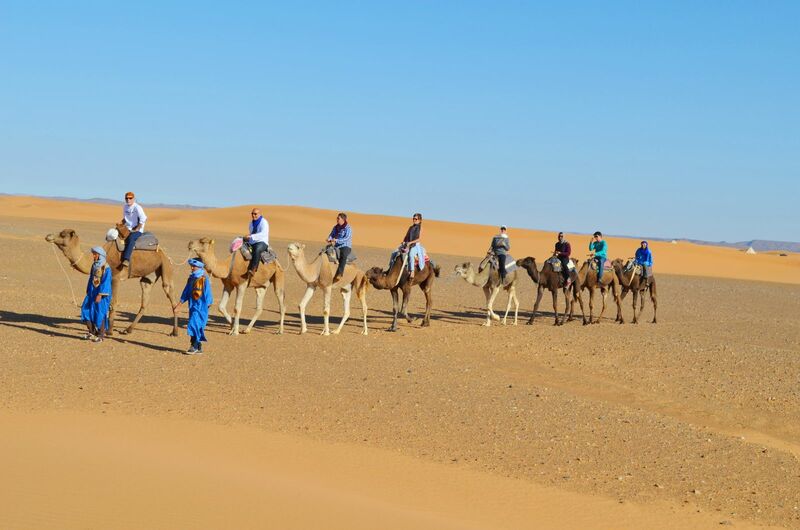 In the afternoon we discover the first landscapes of the desert and enjoy a 2 hour camel trek accompanied by our caravan of camels that will carry all camping equipment and your luggage as we trek through oases and dunes of Bounou. Our light mobile tented camping is set up in the middle of the dunes of Mhamid. Activities : Visit pottery village, Cornaic Bookshop, Oulad driss, Camel Trek. 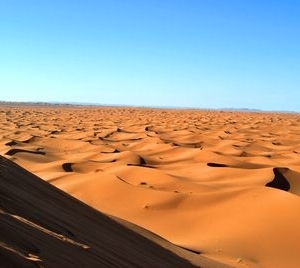 Today we discover the majesty of the Sahara desert with its endless sand dunes and breathtaking scenery. After a 2-hour off road safari drive through sandy trakcs, we join the most spectacular & vast desert of Morocco. You will be taken on a 3-hour trek off the beaten tracks through less undiscovered places where you can experience a sense of wilderness, breathe clean air of the Sahara desert and explore the diversity of wonderfully changing landscapes with splendid undulating sand dunes that change color as the day progresses along with the guarantee of a cheerful welcome from the nomadic Berber people. This vast area of sand dunes makes for a breathtaking landscape, particularly at sunrise or sunset. In the evening we make fire and admire a purely sky full with brightly stars and night out in the open air with moments of real pleasure to discover constellations. 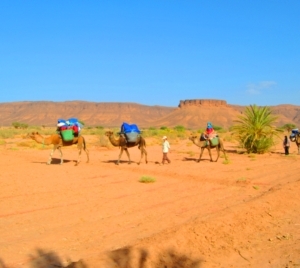 Activities : Visit nomads, Camel Trek. Early walk for those who are interested in seeing the sunrise and back to camp for breakfast. 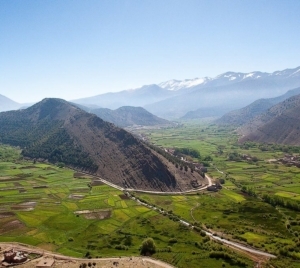 We then embark on a wonderful driving day in the direction of the High Atlas Mountains. We cross the 30 km dry lake of Iriki and drive on a dirt track until the town of Foum Zguid. A long the way, we will admire stunning landscapes with spectacular colours. we will lunch at Taznakht village, famous for real and antic Berber Rugs! an optional visit to a Berber family can be scheduled, then Leaving the Southern Morocco we take the road back to Marrakesh over the Tizi-n-Tichka pass, 2260 meters. While driving on fascinating routes, the scenery is varied and ever-changing. We pass through many villages and towns. Half way, we stop for lunch in restaurant at Taznakhtevillage, we then carry on driving through the winding road of the Tizi-n-Ticka until Ait Berka village. 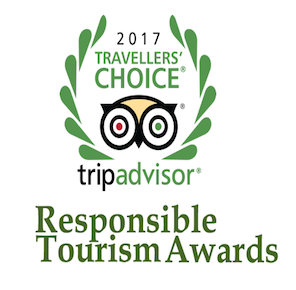 We arrive at Marrakesh around 5:30 pm and drop you off at your riad or hotel. This journey can be customized with private car or luxury 4×4 and driver, and Guide according to your travel dates. Activities : Fossil collection, Visit Rugs co-operative. 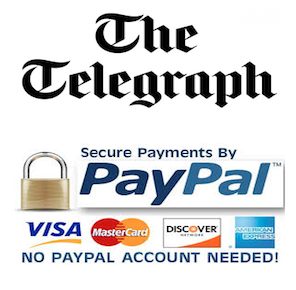 We recommend it highly and it will be worth every penny spend! 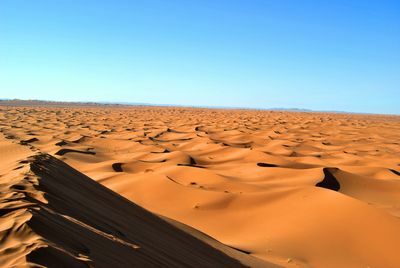 This tour departs from Marrakech or Ouarzazate across the Legend Draa valley and the desert of Erg Chegaga, Erg Lmhazil and Erg Lghoul with several photo-stops during an exciting dune drives to the first destination a camel farm. The drive continues across the desert. 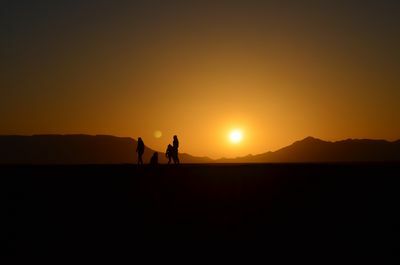 We stop to watch the beautiful sunset before reaching our campsite where you have the opportunity to do a camel ride, sand boarding and try out a henna design on hand or feet with Berber reel Nomads. After working up an appetite enjoy a delicious barbecue dinner and optional shisha (the famous Arabic water pipe). Before returning to Marrakech watch our Camelmen performing their Ahidous show around the campfire by starlight. – One guide that is with you from the moment you arrive in Morocco until you leave, taking care of your entire trip.